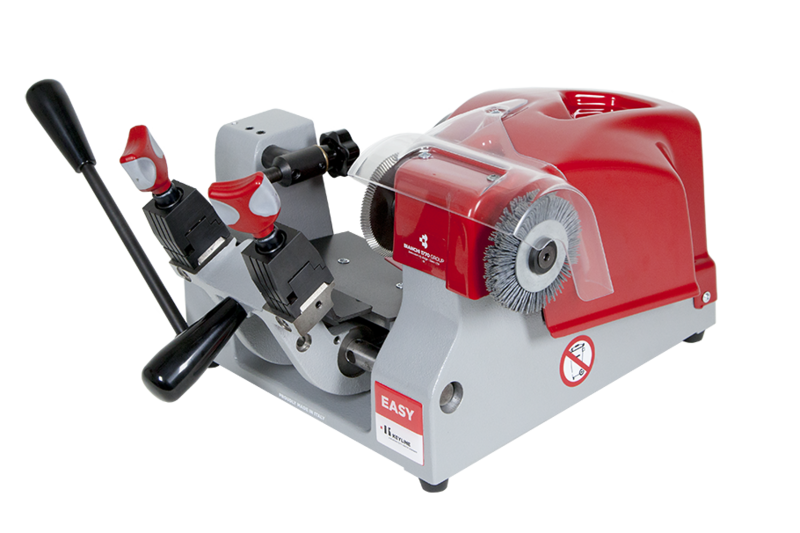 The Easy Quattro key cutting machine is for cylinder, car and cruciform keys, with four-sided reversible jaws that provides an optimal grip and a small footprint. This system guarantees a safe start of the machine thanks to the forward movement of the carriage, which is protected from accidental overload and is equipped with an independent brush switch, tempered tracer with depth adjustment and plastic protection screen. 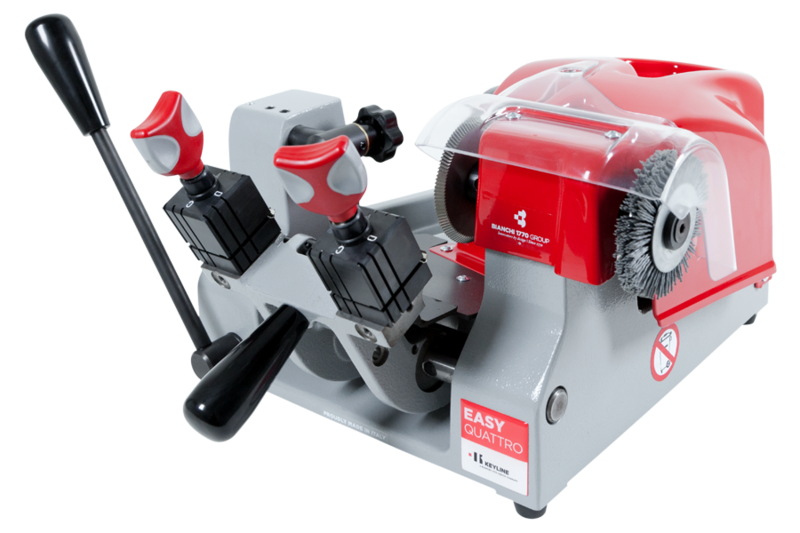 Since January 2017, Easy Quattro has a more functional and modern new design that simplifies and improves the user experience during all the cutting phases. Thanks to new and high-technological components, Easy Quattro becomes even more efficient, safe and adaptable to any workstation. Learn how to duplicate double-sided edge cut keys with Keyline Easy. 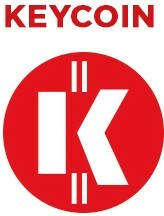 Learn how to duplicate edge cut cylinder keys with Keyline Easy. Learn how to duplicate tip stop double-sided edge cut keys with Keyline Easy.